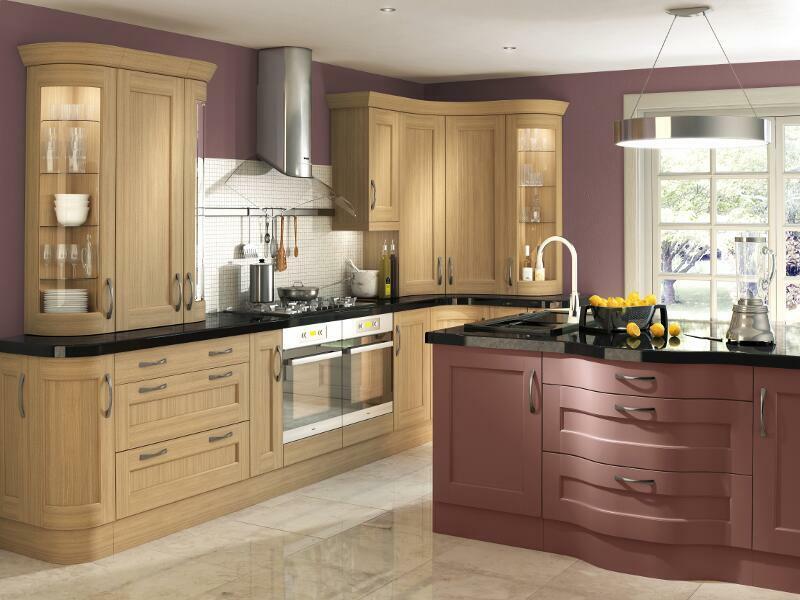 Shaker Kitchen cabinets and Shaker doors and drawers are a style of kitchen unit design that feature a flat centre panel and square edges, with minimal detailing or profiling. Shaker cabinet designs are often symmetrical and shy away from intricate carvings and ornamentation. Shaker style furniture has been around for centuries, and are one of the most popular kitchen designs used to date, Most interior designers pair shaker cupboards and drawers with many modern designs. The History of the Shakers. Shaker cupboards and shaker doors get their name from the United Society of Believers in Christ’s Second Appearing, more commonly known as Shakers. Originating from Manchester, this religious group were formed in the 18th century after breaking away from religious group, the Quakers. Before separating from the Quakers, they were known as the Shaking Quakers due to the ecstatic movements they used during worship. This celibate and self-sufficient community emigrated to America and spread out across New England, where they hand crafted high quality furniture that was renowned for its craftsmanship and high standards. The furniture they created was predominantly made from timber wood such as pine or cherry. Shakers took so much pride in making their furniture that it looked just as good from the front, side and back. Their designs were durable, simplistic and understated – intricate details and veneers were seen as dishonest practices, with the exception of a small carving of the Shaker’s symbol ‘the tree of life’. Whilst Shakers avoided embellishments and finery when it came to creating their kitchen doors and furniture, they would stain or paint their wood different colours. The Evolution of a Timeless Design. With a timeless design and honest craftsmanship, it is no wonder that Shaker furniture is so popular – especially their Shaker doors, which has become a universally loved design. The panelled doors, solid wood frames, dovetail, mortise and tenon joints have all become a staple in the modern 21st Century kitchen. However, it is fair to say that the modern adaptation of Shaker furniture holds a different ethos to the simplistic one of the Shakers, as different colours and bespoke designs are used to suit an individual’s style. Here are three stunning Shaker Kitchens and Bedrooms. This stunning Bowfell Unfinished Kitchen features natural oak shaker kitchen cupboards, and an accented deep plum shaker kitchen island. The beautiful black granite work tops go seamlessly with this design, but give it a modern edge. Made from sustainable oak and other materials, this multi-wood kitchen makes you want to stay in the kitchen. 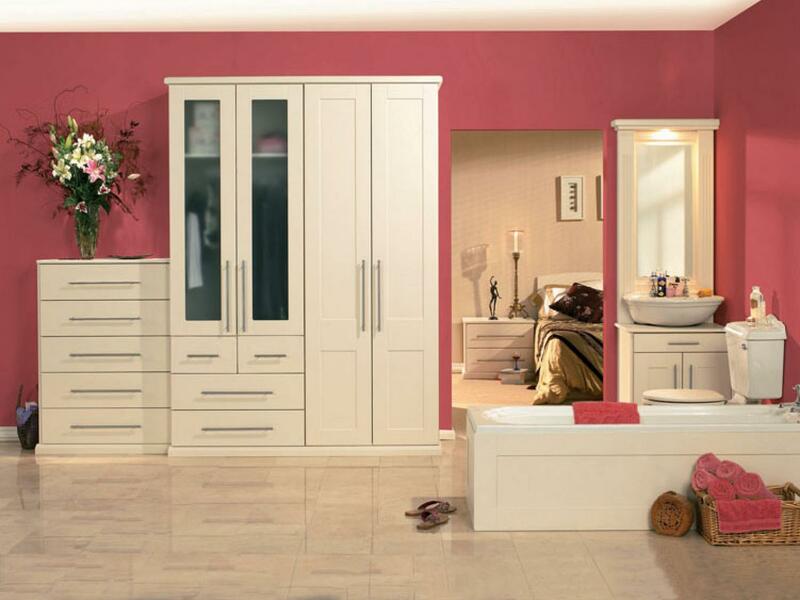 A made to measure fitted bedroom and en-suite is something everyone dreams about, and this stunning Bella Fitted Ivory Shaker Bedroom is no exception. The cashmere, cappuccino and rustic berry colour scheme accents the beautiful Shaker Wardrobe perfectly. A beautiful Avion Ivory Shaker Kitchen with blue accents will be the most desirable room in the house. Light, spacious and organised, you’ll definitely love the less is more feeling. Made from sustainable oak and other materials, this multi-wood kitchen is the thing of dreams. 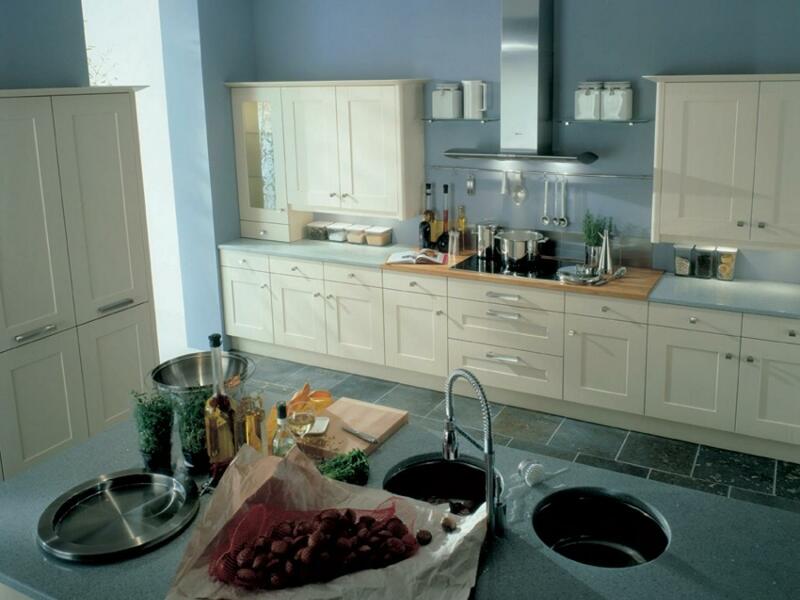 For advice on your kitchen or bedroom, do not hesitate to call 0121 788 2810 or get in touch.